The stator is made with three sets of windings. Each winding is placed is a different position compared with the others. A laminated iron frame concentrates the magnetic field. Stator lead ends output current to the diode rectifier bridge. 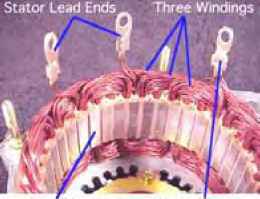 The stator winding has three sets of windings. Each winding is formed into a number of evenly spaced coils around the stator core. The result is three overlapping single-phase AC sine-wave current peaks, A, B, C.
These waves add together to make up the total AC output of the stator. This is called three-phase current. 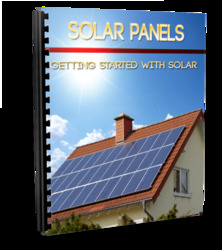 Three-phase current provides a more even current output than a single-phase output would do.